SANTA Johannesburg has identified a need for improved awareness of TB and the link to HIV/AIDS. Within the last two years, our National body has increased their TB education presentations to companies. Our organisation does not see the need to duplicate this service, and we have therefore confined our TB education presentations to schools, Faith Based oganisations, other NGO’s, sports and social clubs throughout the JHB area since August 2007. Education touches every aspect of human activity. At SANTA Johannesburg, we believe that improving the TB education is central to the health and future of South African society. Educating the youth is essential in order to help prevent the spread of TB in the future. Early TB education generates knowledge to “ HELP YOU, TO HELP YOURSELF “ to a healthier life. 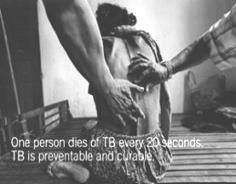 · Someone in the world becomes infected with TB every 36 seconds. · Nearly 1 percent of the world's population becomes infected with TB each year. 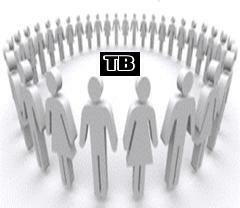 · Overall, one third of the world's population is currently infected with the TB germ. · TB is the leading cause of death among people who are HIV-positive. Approximately one third of all HIV-related deaths worldwide are caused by TB.